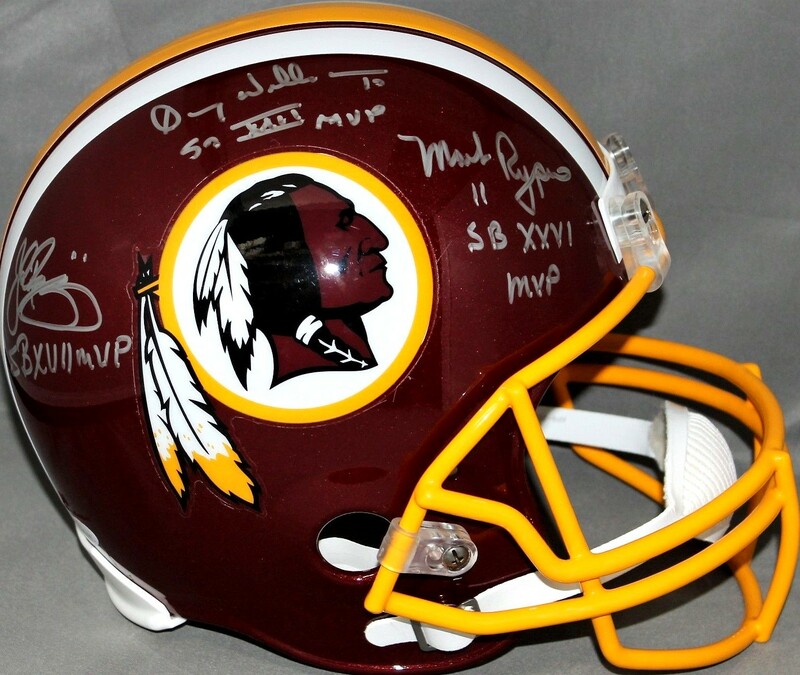 Washington Redskins Riddell full size replica helmet autographed in silver by John Riggins, Mark Rypien and Doug Williams, the franchise's three Super Bowl MVPs, and they added inscriptions to their signatures. 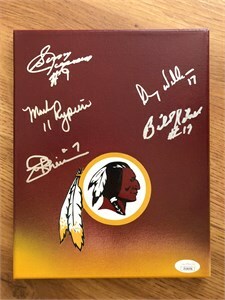 From a paid signing witnessed by JSA, with their matching numbered sticker on the helmet and certificate of authenticity card. ONLY ONE AVAILABLE FOR SALE.